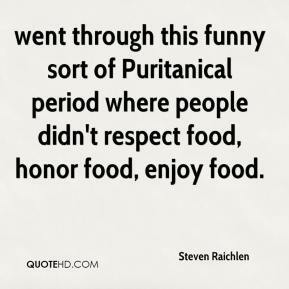 went through this funny sort of Puritanical period where people didn't respect food, honor food, enjoy food. 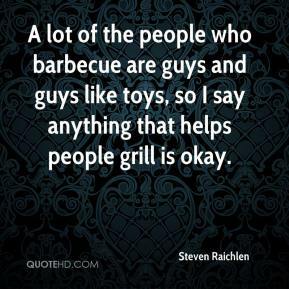 A lot of the people who barbecue are guys and guys like toys, so I say anything that helps people grill is okay. 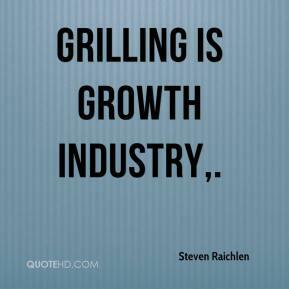 You can grill on anything, ... When I was traveling around the world researching 'The Barbecue! 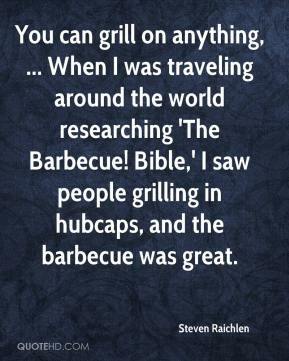 Bible,' I saw people grilling in hubcaps, and the barbecue was great. Cooking in the fireplace is the closest thing to grilling over charcoal or wood out-doors. The principle is pretty simple. 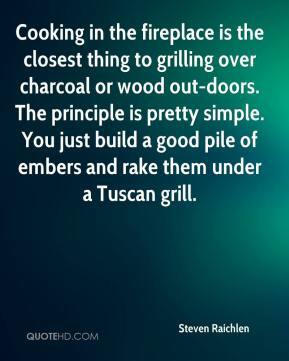 You just build a good pile of embers and rake them under a Tuscan grill.